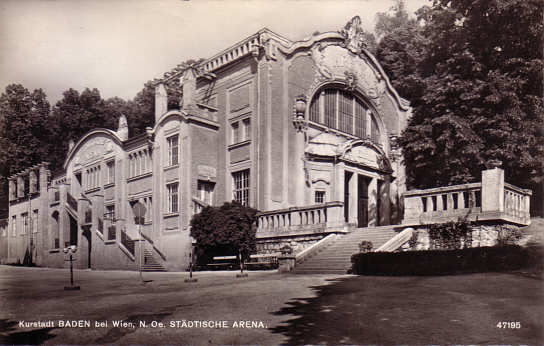 Built 1906 by Rudolf Krausz, replacing a former wooden theatre (built 1841). Closed during World War II. Re-opened 29 June 1957. Due to a movable glass roof, the theatre can be used both as an open-air theatre and as a roofed theatre. Used for operetta performances during the summer months. 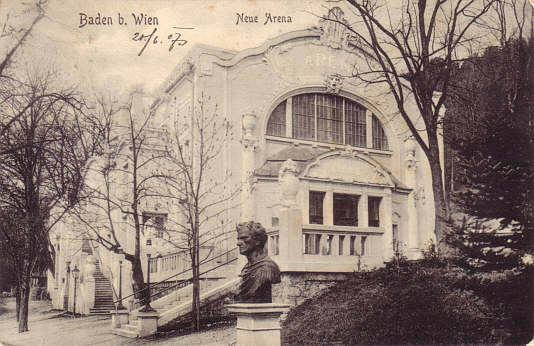 Front Text: above: "Baden, N.-Oe. 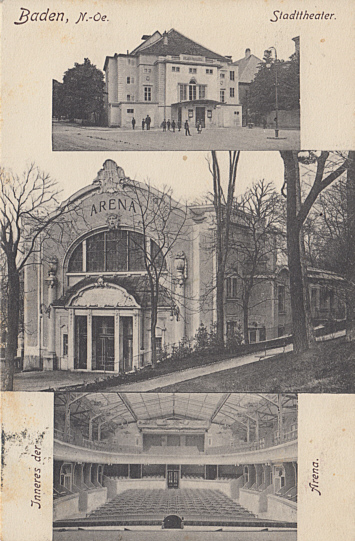 ", "Stadttheater", middle, inscription: "Arena", below: "Inneres der Arena"
Front Text: "Baden b. Wien, Neue Arena", inscription: "Arena"
Front Text: "Kurstadt Baden bei Wien, N. Oe.- Städtische Arena", inscription: "Arena"